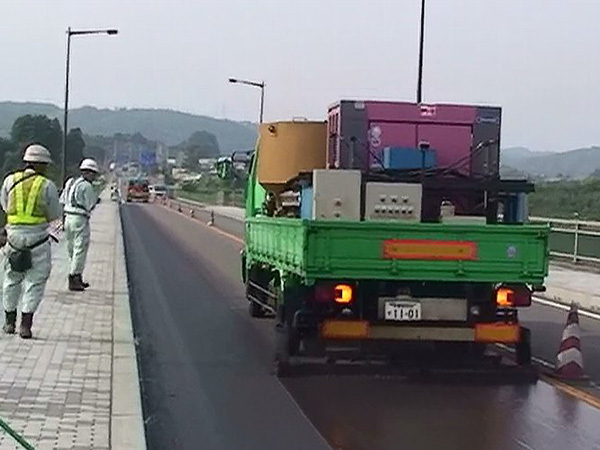 The SURFTREAT construction method is a surface processing type preventive maintenance construction method that is intended to refresh aged paving and paving that has undergone surface roughening. 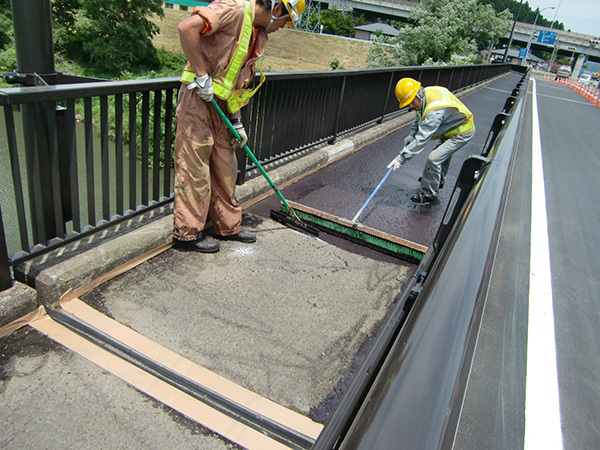 In the SURFTREAT construction method, the “ST ZOL” and “ST SAND” modified asphalt emulsions containing inorganic fillers are used. Has high impermeability and weather resistance, allowing planning for a long paving lifetime. Cheaper than thin layer overlay, it has outstanding economic efficiency. Because implementation is possible at normal temperatures, this construction method is gentle to the environment. 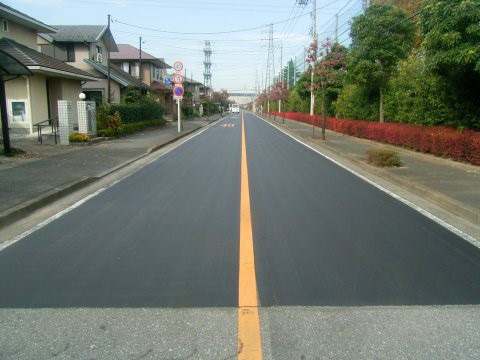 This method has a suitable amount of texture, so that skid resistance will be improved.